Although Labor Day marks the unofficial end of summer for so many of us, the official day is September 22nd. Considering summer trips are coming to a close remember that amidst the skyscrapers and traffic jams that New York City is an island offering so many fun things to do before the cold weather is upon us. As I rode the subway, I was reflecting upon how to slow summer down and I looked up to discover the poem “Remembering Summer” by M.S. Merwin that was selected as part of the Metropolitan Transit Authority’s Poetry in Motion program for 2018. The New York City streets and parks are filled with amazing free public outdoor art, music, dance, festivals, movies, beaches, and I wish I could partake in it all. Grab a blanket and head to a park or a rooftop venue as you watch the Sturgeon Moon rise. 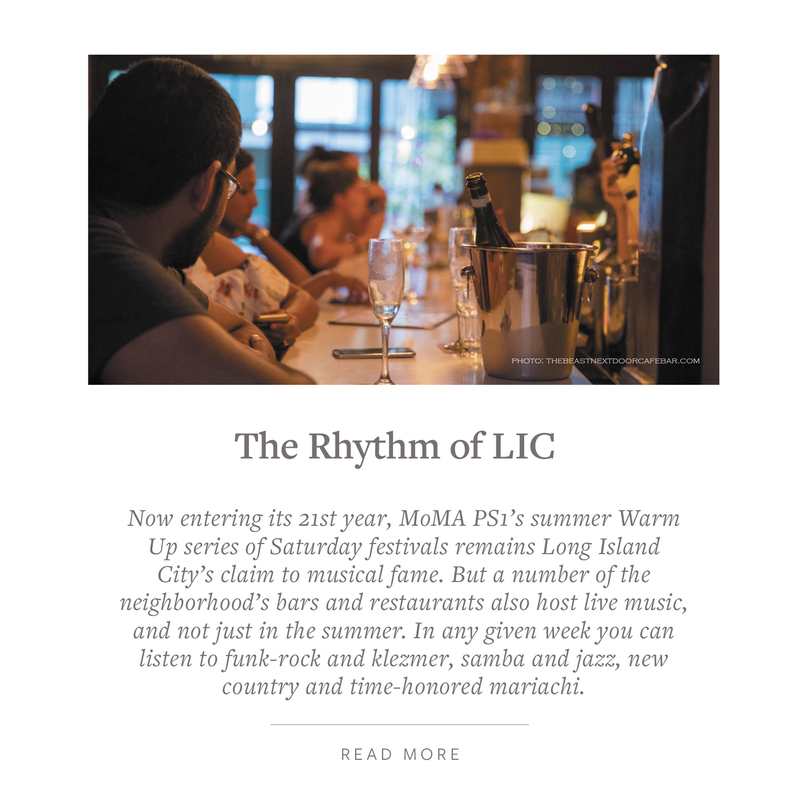 This month’s edition of Culturally Inclined focuses on Long Island City, Queens (“LIC”) whose neighborhood boundaries are from the East River to 39th street, and from 36th Avenue to Borden Avenue. 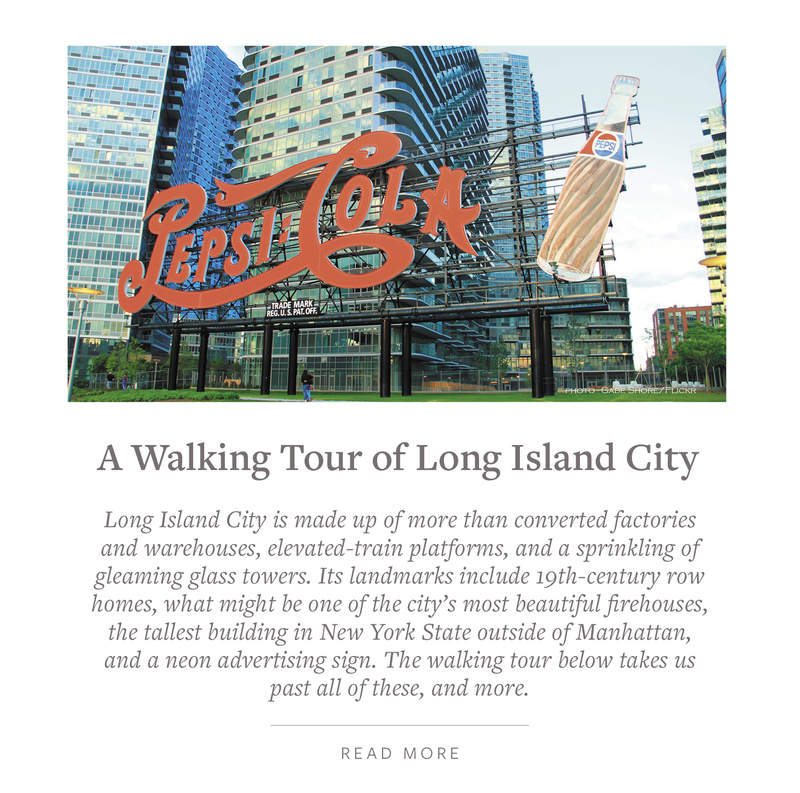 The LIC experience is summarized on the Long Island City Partnership website: “LIC is where arts and industry intersect. From expansive waterfront parks and world-class museums, to printing and design services, flea markets and comedy clubs, and Michelin star to ethnic street food, LIC has it all!” LIC is one stop to or from Manhattan by subway, has two LIRR stations, 13 bus lines, Citibike‘s and a tranquil ferryride. 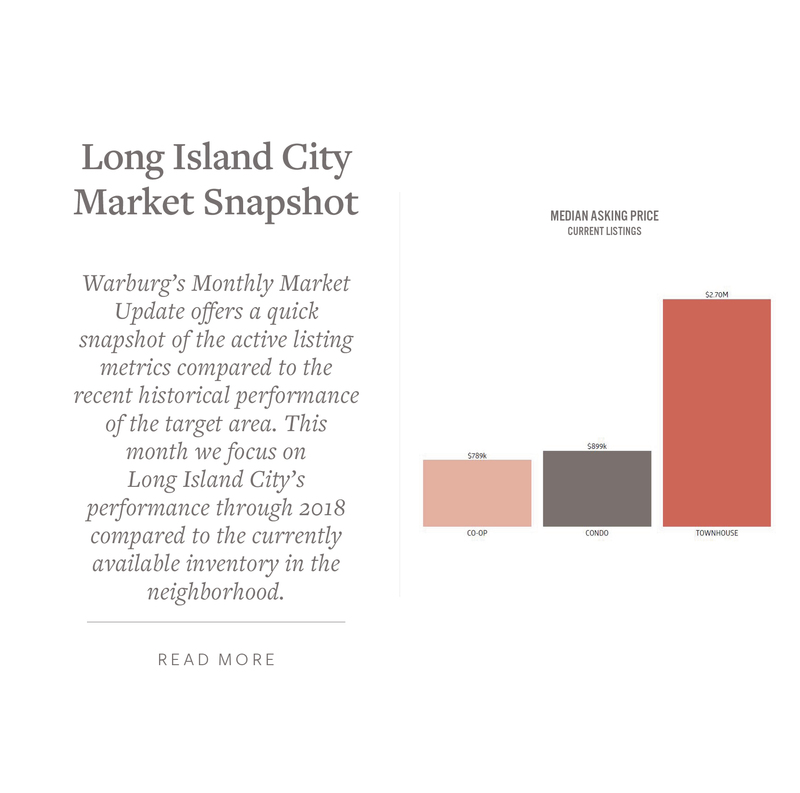 Integral to LIC’s rapid growth is its transit connectivity to Midtown Manhattan and Northern Brooklyn. 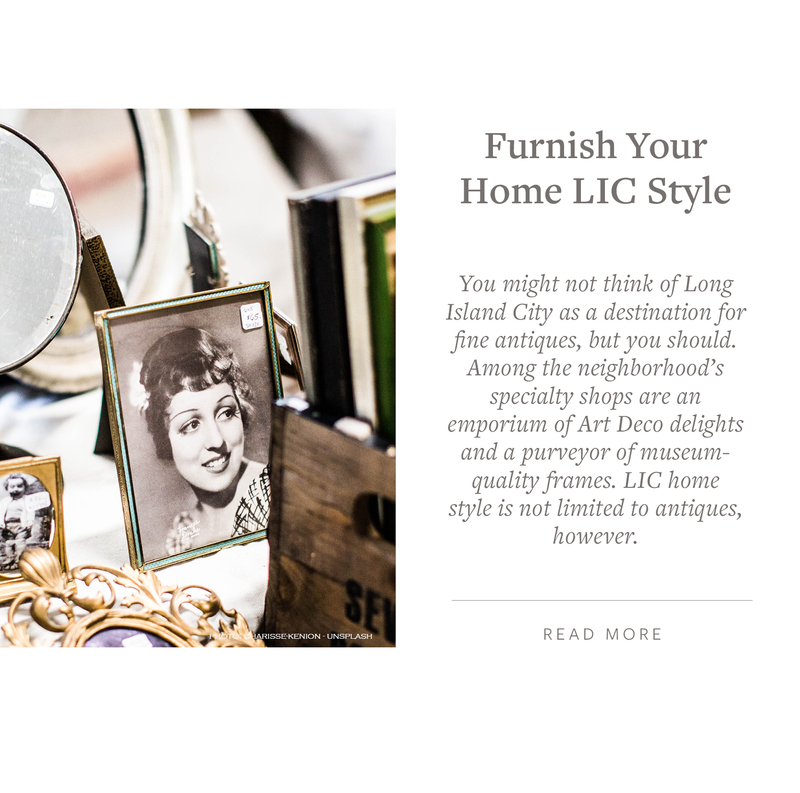 LIC is an ideal location for a variety of businesses and residential living. LIC is the western most residential and commercial neighborhood in the borough of Queens overlooking the Manhattan skyline. With the many towers popping-up like wild flowers along the East River waterfront its’ difficult to imagine its rocky shores, swamps and marshes created by the ice age. Or, the original farming community roots of the American Indians and Dutch. 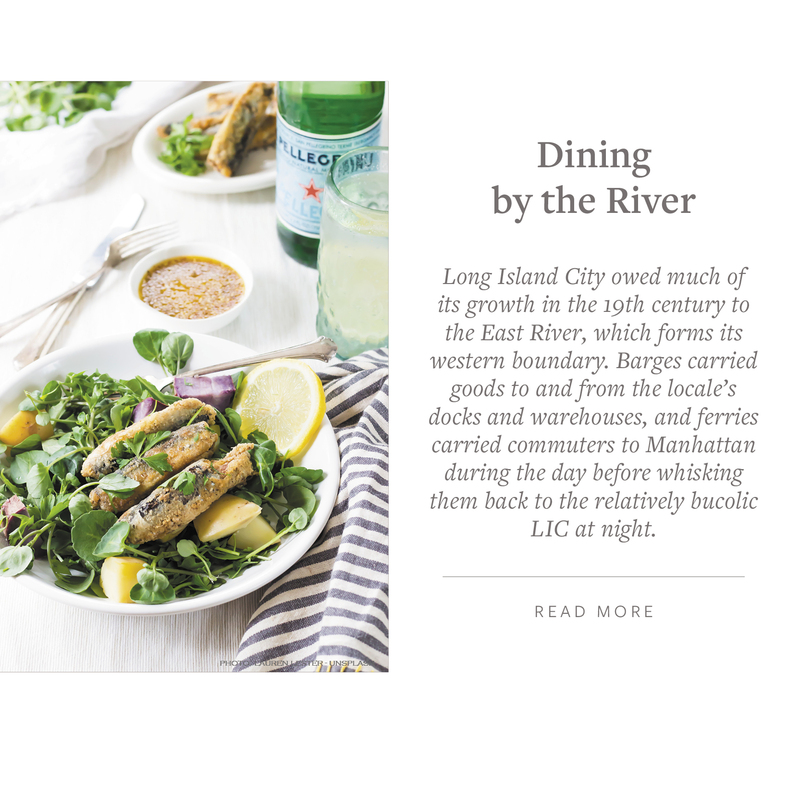 In the 1600’s, Jarck’s 160 acre farm utilized its rich soil and formed the first community to become Long Island City preceding the many hamlets to come thereafter. With Ferry Service from Manhattan to LIC during the American Revolution, the affluent came to the LIC and had its own short lived gilded age that was destroyed by industrial pursuits. Long Island City was once its own City in the mid-1800’s, the villages of Astoria, Dutch Kills, Hunters Point and Ravenswood and Blissville (near today’s Sunnyside merged, however, in the late 1800’s the mayor embezzled funds and nearly bankrupted LIC. Around 1898 all of Queens was annexed to New York City. 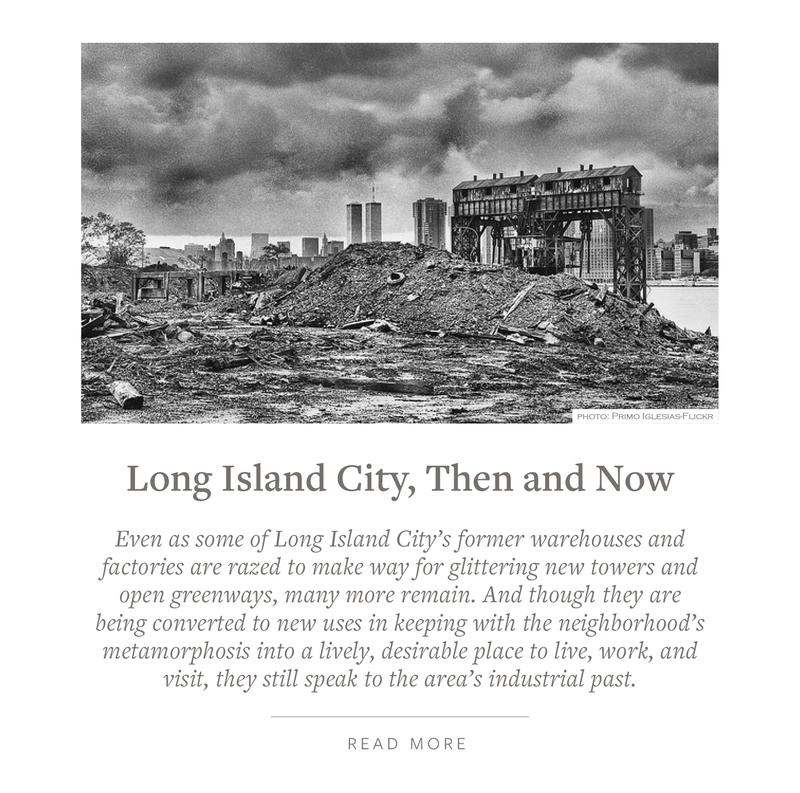 It was during this time period of the industrial age that radically changed the landscape of Long Island City forever. The land was leveled making way for manufacturing, the Long Island Rail Road (LIRR) originally built in 1854 and rebuilt numerous times due to fires. A fireproof station was rebuilt and serviced electric cars in 1910. Anable Basin an inlet carved in 1868 at a time when Long Island City was home to numerous oil refineries and factories. At the time of the canal’s creation, a mastodon bone was found on the site of the basin. To address the advent of the automotive (birth year 1886) accessible to the masses in 1908 thus the construction of the Queensboro Bridge, also known as the 59th Street Bridge – because its Manhattan end is located between 59th and 60th Streets – officially titled the Ed Koch Queensboro Bridge, is a cantilever bridge over the East River in New York City was completed in 1909 and Hellgate Bridge in 1916. By 1912, LIC had the largest number of factories and factory employees in all of Queens. The Midtown tunnel is only a little over 75 years old completed in 1940 and 10 years later was the height of warehouses, factories and refineries blanketing much of LIC. 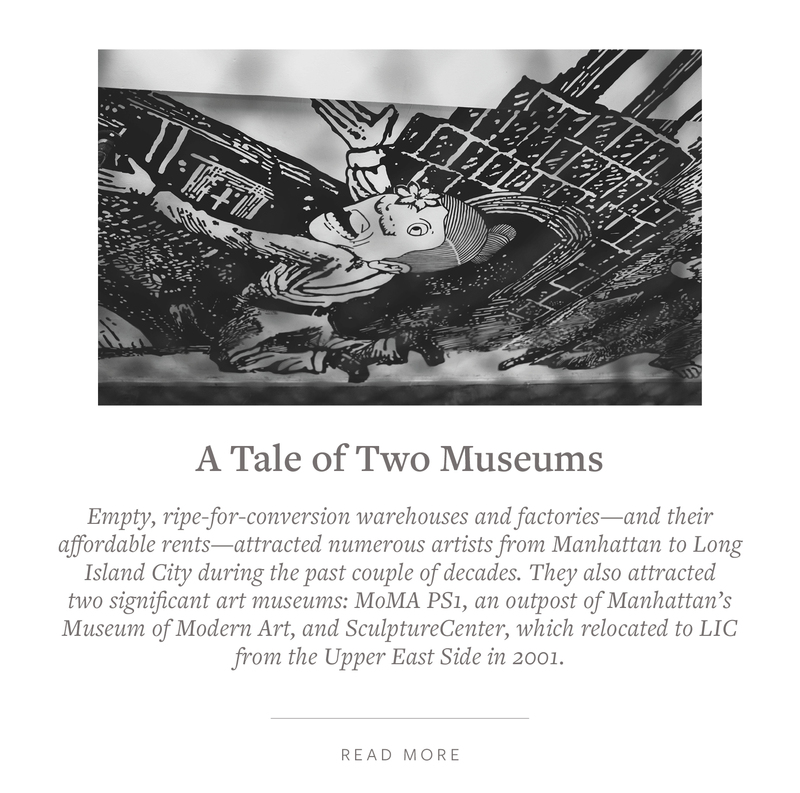 Historic Factories and landmarked buildings set the stage for the future of LIC. 1) Anchor Cap and Closure (1920) rubber gaskets, lithographs, metal caps and bottle sealing machinery and now luxury apartments, 2) Arris Lofts (1923) produced electric switches, then MetLife printing plant and now condominiums, 3) Chiclets (1910) now headquarters for New York City School of Construction, 4) New York State Supreme Court (1904–1908), 5) Hunters Point Historic District originally part of Van Alst farm, the street was subdivide for residential development in 1870, 6) MoMA PS1 (1892) a Romanesque Revival structure was the First Ward school and now the Museum of Modern Art, 7) Fire Engine Company No. 25 | Hook and Ladder Company No. 115 (1902-04) a rare example of Dutch Renaissance Revival style, 8) Pepsi-Cola Sign in Gantry Plaza State Park (1936) one perched upon the Pepsi bottling plant illuminating the East River, 9) New York Architectural Terra Cotta Works Building (1892) tucked under the bridge on Vernon Boulevard is the last remnant of the New York Terra Cotta Works that once was a thriving company producing terra cotta for buildings such as Carnegie hall and Ansonia, 10) Brewster Building (1910) an automobile manufacturer and now an office building, 11) New York City Department of Education and Transportation Building (1921) Italianate building, 12) 29-28 41st Avenue (1929) Art Deco building originally known as the Chatham & Phenix Building, a defunct bank, 13) Bank of the Manhattan Company Building (1925-27), the “Long Island City Clock Tower” this neo-Gothic style building originally occupied by Bank of the Manhattan Company and being converted into a rental tower. 14) Fisher Landau Center for Art (1951 | 1991) originally a parachute harness factory and now a museum, 15) 33-00 Northern Boulevard | Center Building (1914) was the Ford Assembly and Service Center and is currently an office building. Two of the largest tenants are the city’s Human Resources Administration and Metro Transit Authority, 16) Standard Motor Products building (1921) originally home to S. Karpen & Brothers an upholstered furniture manufacturer and now houses a number of commercial tenants, 17) Noguchi Museum (1920 |1985) once a photo-engraving plant and now a museum of sculpture and design, 18) Socrates Sculpture Park (1986) once an abandoned riverside landfill and now an outdoor sculpture Park. 19) SilverCup Studios 42-22 22nd Street (1920’s) a former flour silo of the landmark Silvercup Bakery for over 100 years in LIC in 1983 Silvercup Studios quickly established itself as the largest, independent, full-service film and television production facility in northeastern United States, 20) Plaxall – 5-46 46th Avenue. 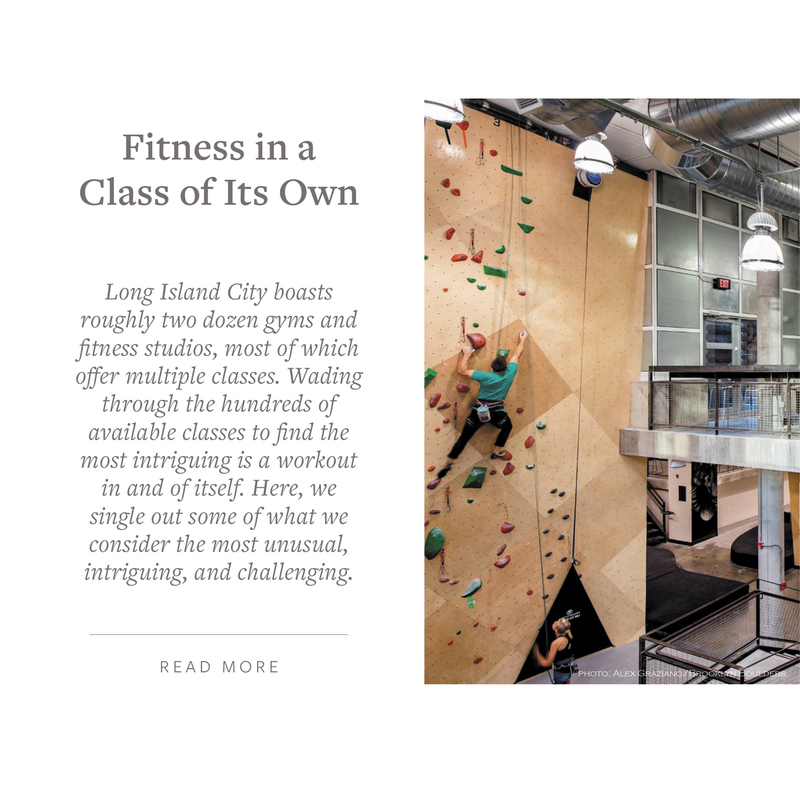 Plaxall founder Louis Pfohl a pioneer of the plastic industry always believed it was only a matter of time before Long Island City evolved from a manufacturing hub to a thriving mixed-use community. With his 46th Avenue factory up and running in the 1950s, he started to invest in local real estate and began the purchase and rehabilitation of nearby properties. In commitment to his firm belief in transformation of Long Island City, Louis Pfohl purchased a five-story factory and, with the addition of another five stories and modern amenities, developed Hunters Point Plaza. It was one of the first modern office buildings on the south end of Jackson Avenue and, for a time, the tallest building in the neighborhood. The Plaxall real estate business continues to offer an array of attractive commercial spaces today. Today, there is renewed appreciation for the majestic waterfront. Long Island City’s Gantry Plaza State Park , a riverside oasis with spectacular views of the midtown Manhattan skyline in concert with is Hunter’s Point Park South’s waterfront promenade is the perfect place for a summer stroll, a game of Frisbee, or recreational activities such as basketball in the playgrounds or simply listen to the rush of water an let your mind wander with the clouds. Nearby there are wonderful eateries to dine along the water or the interior of LIC. LIC has more than 29 arts & cultural institutions including MoMA, Noguchi Museum, the new Hunter’s Point library in progress along the water, LIC Community Boathouse offers free kayaking and canoeing at Hallets Cove, the Sculpture Center and the Museum of the Moving Image. LIC is flourishing with numerous small businesses, LaGuardia Community College and businesses such as Citibank, MetLife, FreshDirect and JetBlue are critical anchor institutions that draw people to Queens Plaza and Court Square – Long Island City’s two primary business districts. Exciting bars and restaurants are springing up next to new art and theater venues carved from the area’s classic industrial façade, creating a new quality of life for residents and capturing the imagination of developers throughout the City. The strong, diverse base of business activity, cultural and educational institutions and growing housing stock positions Long Island City as a flourishing, innovative neighborhood immediately across the East River from the future campus of Cornell Tech, a 12-acre applied sciences and engineering campus on Roosevelt Island. The confluence of ease of transportation, a rapidly growing population, zoning ordinances make LIC ideal location for entrepreneurs to start businesses. A number of breweries have opened in LIC and as co-owner Marcus Burnett of Rockaway Brewing Company explained in AM New York: “One of the major challenges you have when you’re opening a brewery is that your zoning has to be so much that you can legally manufacture a product. You want it to be a community space, in producing beer and sharing it with people. Helping to further drive this industry are changes in New York State laws that now permit breweries to have on-site taprooms, sell on their premises and self-distribute (many of these breweries can be found at the LIC Flea & Food beer garden).” So, Take a walking tour of LIC and along the way relax and one or more of the local in breweries while unwinding to music or participate in the many events they offer: Alewife, Big aLICe Brewing Company, Fifth Hammer Brewing Company, ICONYC, LIC Beer Project, Rockaway Brewing Company, SingleCut Beersmiths, and Transmitter Brewing. The Department of City Planning is in the process of conducting a study to “identify strategic investments in infrastructure and neighborhood amenities and establish mechanisms that will further accelerate affordable housing and business development.” As reported by Curbed “Long Island City is changing at a rapid clip—so fast, in fact, that a 2017 study found that the once-industrial neighborhood has given rise to more new apartments since 2010 than any other neighborhood in the country. The exact number of incoming apartments is a little hard to pin down, and always changing, but with an eye to the neighborhood’s skyline, it’s impossible to deny that Long Island City is on fire.” Take a look at a number of these developments that are outlined and mapped by clicking on the link to the Curbed article.Long Island City is currently home to the largest fortune cookie factory in the United States, owned by Wonton Foods and producing four million fortune cookies a day. 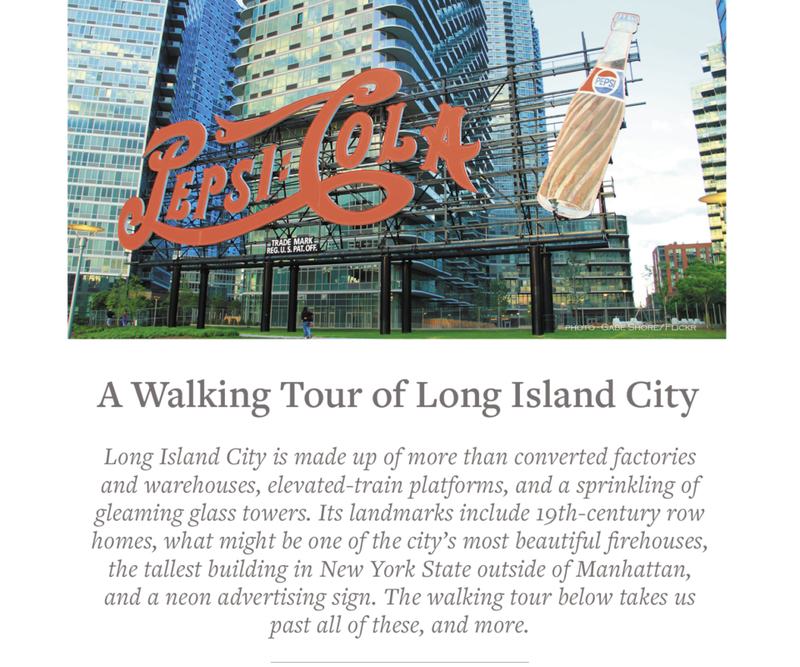 Explore LIC’s upcoming performance, gallery nights, family festivals, brewery crawls, seminars, workshop highlighted by the Long Island City Partnership. The “fever” art exhibit in Long Island City is tackling the subjects of climate change and global warming. From Aug. 30 to Sept. 30, Long Island City Artists and The Plaxall Gallery (5-46 46th Ave.) will host to the free exhibit, which showcases thought-provoking and poetic interpretations of these issues plaguing our world. Enjoy the remainder of your summer and reach out to me and let me know what exciting explorations you undertook. I am always available to provide real estate guidance, discuss market conditions and trends to you or someone you know. Wishing you a joyful end of summer.